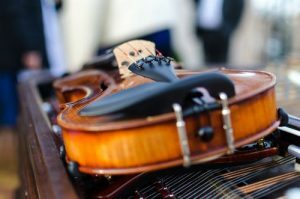 Do you need to store your musical instruments, wooden furniture or other heat sensitive items? You are at the right place to rent a climate controlled storage Staten Island NY. Our facility is a place where we keep temperatures and humidity always at the same level. Verrazano Moving and Storage provides you with professionals know how it is essential to keep your most precious and sensitive items safe and intact. In our climate controlled storage, you don’t have to worry about the damages and mold on your belongings. Contact us to get more information and to store your belongings in the safest place in New York. What makes Verrazano Moving and Storage so unique? We understand that choosing who to trust with storing your possessions is not an easy decision. 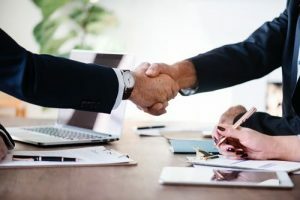 The company you decide on must be reliable and reputable. This is why Verrazano Moving and Storage is exactly the type of company you are looking for. We have three generations of experience, which puts us at the top of New York’s most trusted movers‘ list. So if you are in need of a climate controlled storage Staten Island NY, Verrazano Moving and Storage is here to help you out. Our experienced staff is there to help you out with any questions and issues you might have. Why do people use storage units? Are you currently moving? Whether you are relocating locally, long-distance or interstate, you are most likely going to need storage units. Changing your address usually means you cannot take all of your belongings with you. This means you need to buy or rent a storage unit. There you can safely store every item you want to keep but don’t know where to put in your new home. It’s not easy leaving your belongings in a storage facility. It’s also not easy finding a reliable moving and storage company. This is why Verrazano Moving and Storage is the solution to all your storage problems. Whether you need your items stored short term or long term, we have a suitable unit for you. If additional space is what you want, we are here to offer the best storage you can find. What exactly is climate controlled storage? Climate controlled storage provides optimal conditions necessary to keep the stored items undamaged. 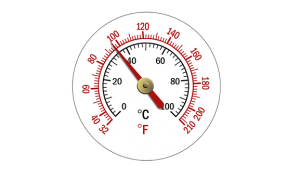 This means that if your belongings need to be stored at a certain temperature and humidity level, we have good news for you – Verrazano Moving and Storage Staten Island can provide the perfect conditions your items need. Regardless of how long you plan to store your belongings with us, we are here to guarantee that they will remain completely undamaged and intact. This is especially important if you happen to live in areas with great temperature oscillations or extremely high air humidity. How will I know if I really need a climate controlled storage Staten Island NY? What sort of items will you be storing? 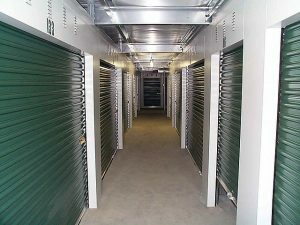 Not all your possessions require to be stored inside a climate controlled storage Staten Island NY. This is where our staff might be of great assistance. All you need to do is ask and Verrazano Moving and Storage will offer help from experienced and friendly members of our team. So if you decide to store items that can suffer damage from extreme heat or cold, then you need to consider using climate controlled storage units. How long will you be storing your possessions? If you plan to store perishable or easily spoiled items, then our storage units are the perfect choice for you. Climate controlled storage Staten Island NY is the suitable choice for you if you plan to store items that can be sensitive to temperature or humidity. Also, if your belongings have a great sentimental value and you don’t want to risk exposing them to extreme climate conditions, then they need to be stored inside a climate controlled unit. Any art pieces you have need to be protected from humidity or heat. This also applies to any musical instruments or documents you might own. They all belong in a climate controlled storage Staten Island NY. And this is why Verrazano Moving and Storage is the perfect company for you. Your most valuable and sensitive possessions are safe with us. You can relax knowing that your precious items are safe and undamaged. How long will you be storing your items? Even the most unperishable items you store may be susceptible to some degree of damage if they are store for a long period of time. So if you plan to store your belongings for months or perhaps even years, we recommend climate controlled storage in Staten Island NY as your best option. This way your belongings will remain stored in optimal conditions, both temperature and humidity, regardless of how long you plan to store them. And if you by any chance plan to put away any perishable items, then you should, by all means, use climate controlled storage. And finally, what’s the first thing you should do if you think you might need climate controlled storage Staten Island NY? Contact Verrazano Moving and Storage Staten Island today. Our experienced team will help you choose the type of storage unit according to your specific needs. So do not hesitate. Give us a call and find out what your storage options are. If reliable climate controlled storage is what you are looking for, we’ll find suitable units for your belongings in no time.